When I’m craving Char Kuay Teow, I always go to Robert’s stall at Say Huat, Section 17 PJ. As always, his CKT is well-fried and full of wok hei. It has plenty of bean sprouts, chives, eggs, 3 prawns, cockles, lap cheong and my favourite PORK LARD. After coming here often (3-4 times a month), Robert already knows how I like my CKT – spicy, extra lard and big plate. A large plate costs RM4.50, while a small is RM4. 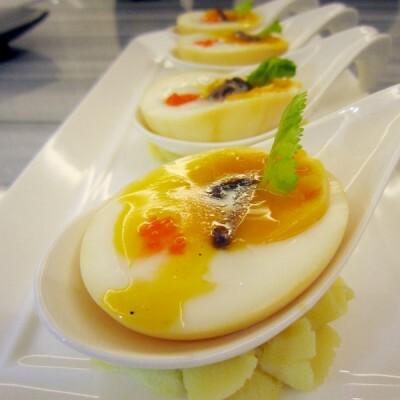 *Say Huat is located in front of the Section 17 market. Wow – nice, huge big plate! I used to stay in Sec 17 and I didn’t even know about this! Cheers for sharing! Dang! Now i’m having CKT cravings! chrisau – Hey, thanks for dropping by! They have a few branch too, one is in Damansara Jaya I think but I frequently comes to eat in Say Huat. thanks for info on char koay teow,will go look for say huat I usually get my CKT fix at lorong seratus tahun at ss2, have you tried that? wowee, how long has robert been operating there?? we used to have a robert CKT in sri dsara couple of years back with the same exact style and since he left, he's been terribly missed! Kim, I've seen Robert there in Say Huat since 2006. Kim – According to rif, he's been there for quite a while. Like Simon, I've been going to Robert's since 2006. Hi, I stumbled upon your blog. Thanks for the reviews. There is 1 very good CKT stall in Sec 14 that you may want to check out. There is this restaurant that is a conversion from a corner single story house right next to the commercial area in Sec 14. This CKT stall is at the back right next to the famous chee-cheong-fun stall there. Check it out.